Maia Sandu failed to save education system and raise teachers' salaries although she had pledged so. Now she refuses to explain why she did not succeed during her mandate as Education Minister. - We aim to increase teachers' salaries and improve the training system for teachers in order to save the education system. - Why you failed to raise salary by 50% as you had promised in election campaign before you became Education Minister and Finance Minister was in the same party? - We will increase teachers' salaries when we come to power. - You were in government. You've been in government. - We will work in all ministries as the way we worked in Education Ministry, not the way Democratic Party does today", said Maia Sandu. However, statistics beat the political and electoral statements. According to official data, It's not Maia Sandu but Filip government raised teachers' salaries by 40% over the past three years. Moreover, teachers now earn average income of 85% higher than three years ago thanks to wage reform. Allowances for young specialists in schools and kindergartens increased from 45,000 lei to 120,000 lei, during PDM governance comparing with Maia Sandu's. PAS leader promised to open schools. "We have a program to enhance economy and open new schools". Whether she's wondering she regretted closing schools in dozens Moldovan villages during her mandate of Education Minister. Many schools are rotten now. She then avoided the answer and left responsibility for her political opponents. - I invite you to present the data we have showed you. From the statistical information, we see that more schools were closed down during the Democratic governance than during my mandate. 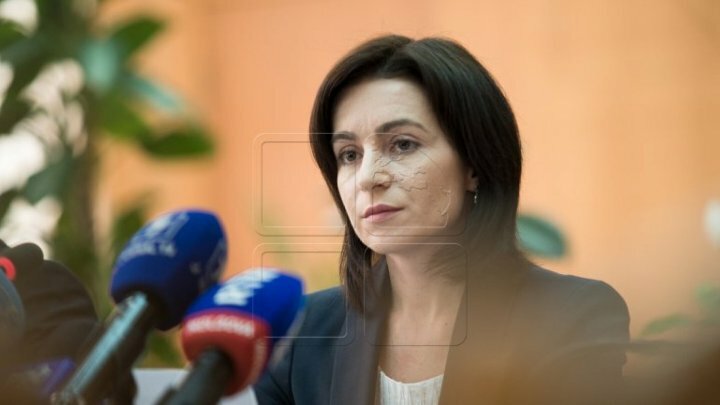 - Unfortunately, from 2000 to 2019, schools have been closed because of poverty, corruption, caused by governments like the current one," said Maia Sandu. The PAS leader's statements contradict the facts - that is, during the PDM governance, a moratorium on optimization in education was announced. Moreover, the Democrats have initiated the reopening of some schools closed during the term of office of Maia Sandu.